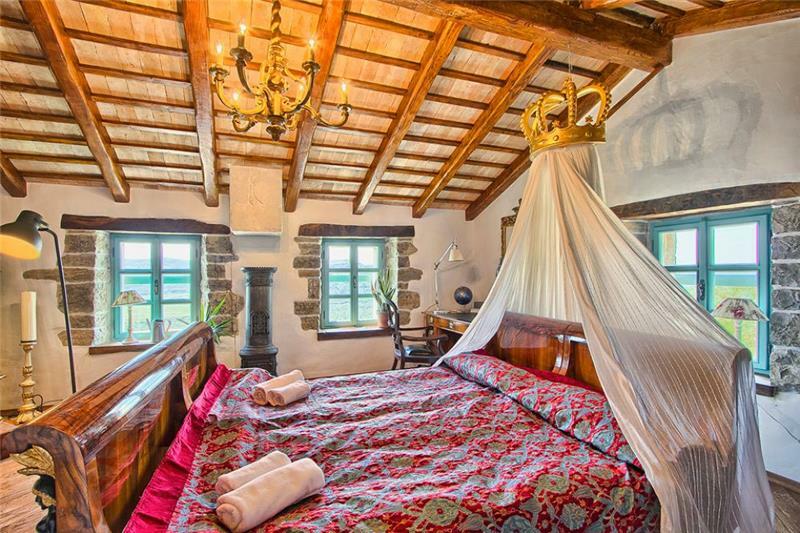 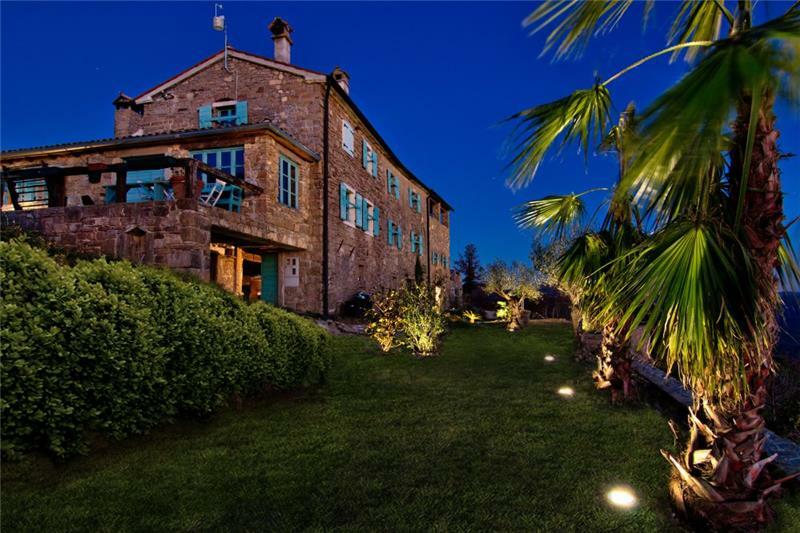 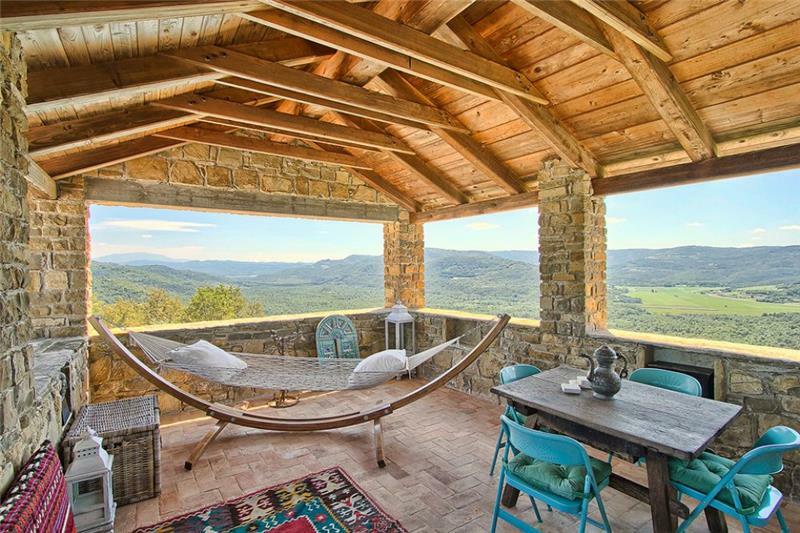 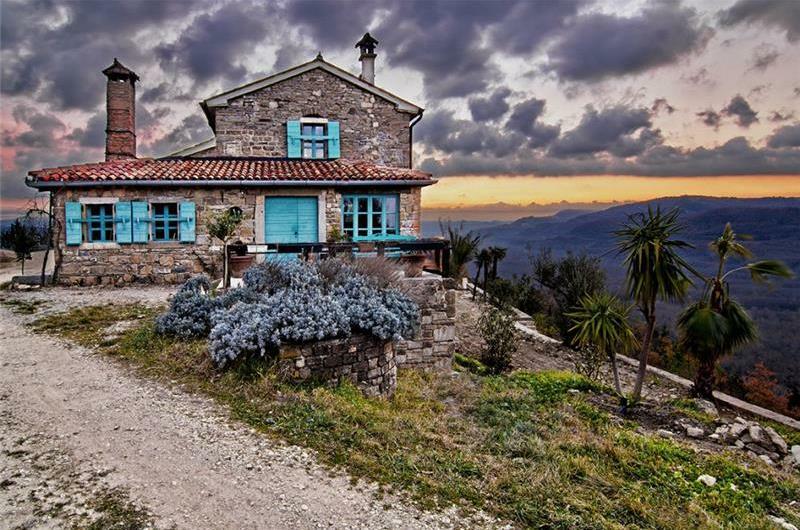 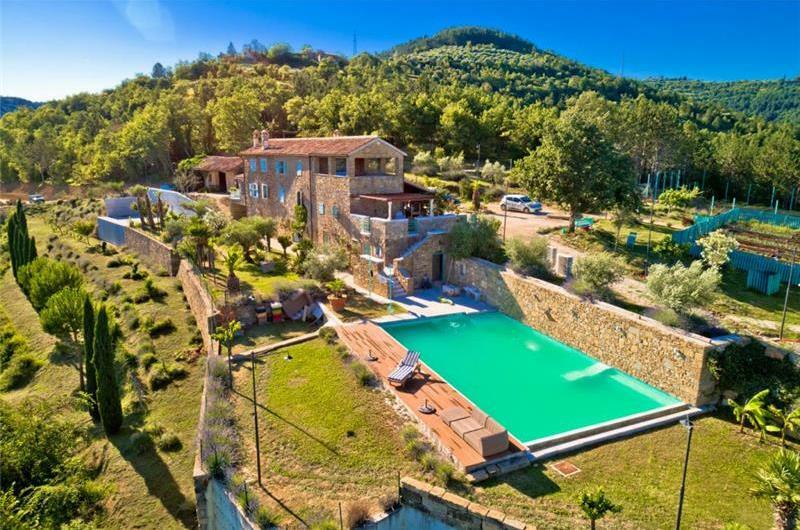 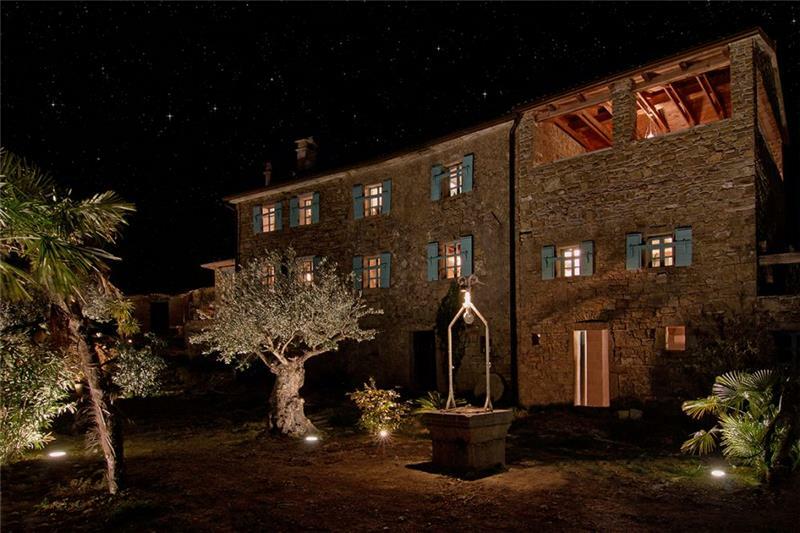 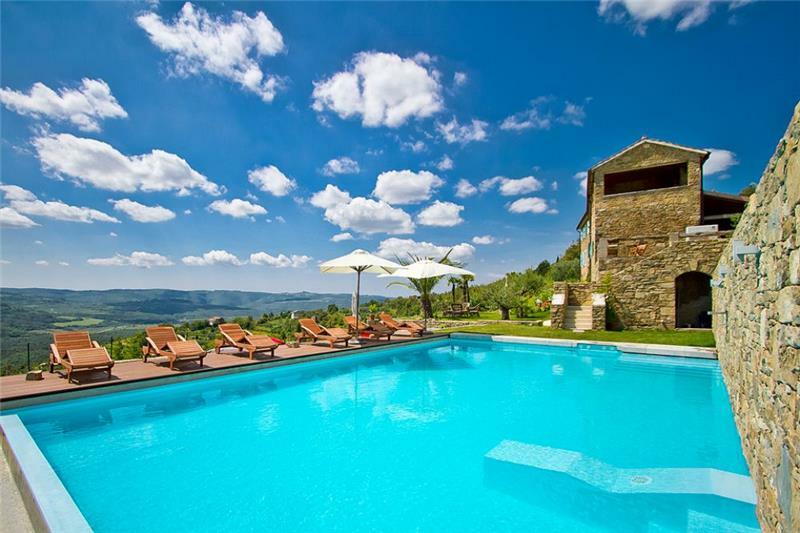 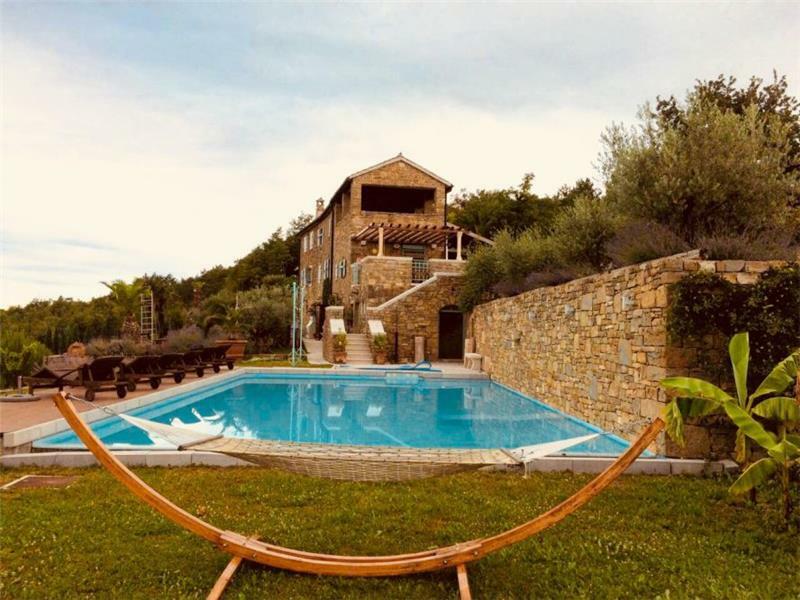 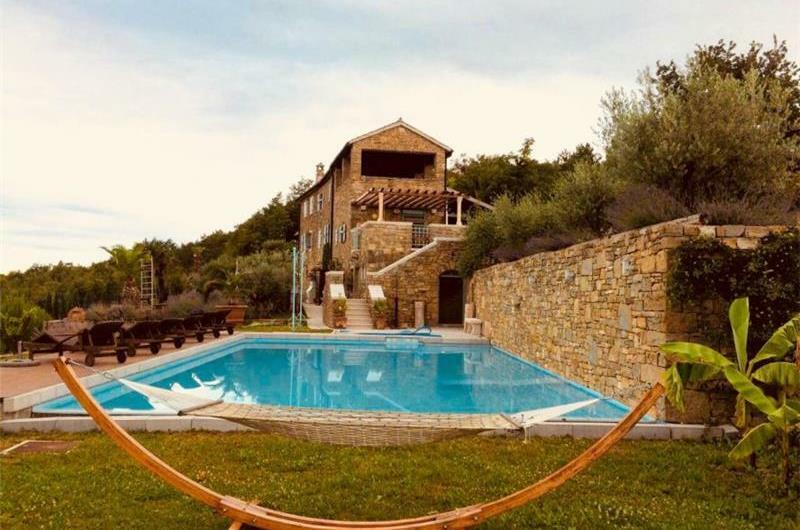 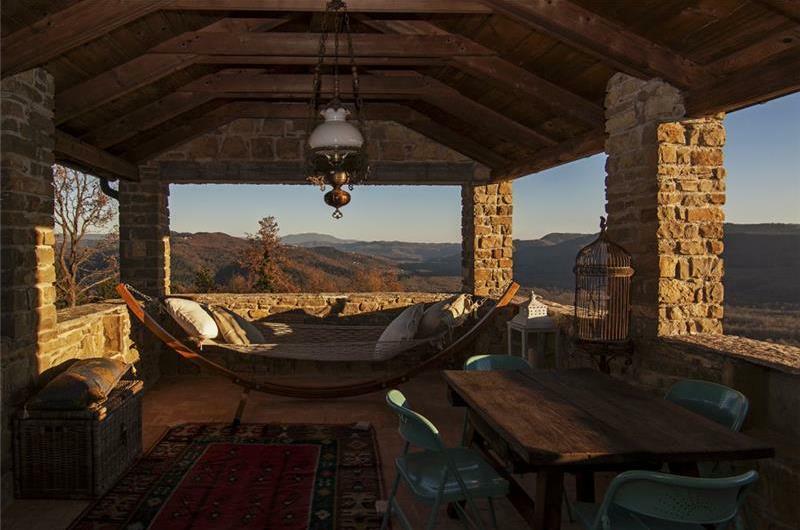 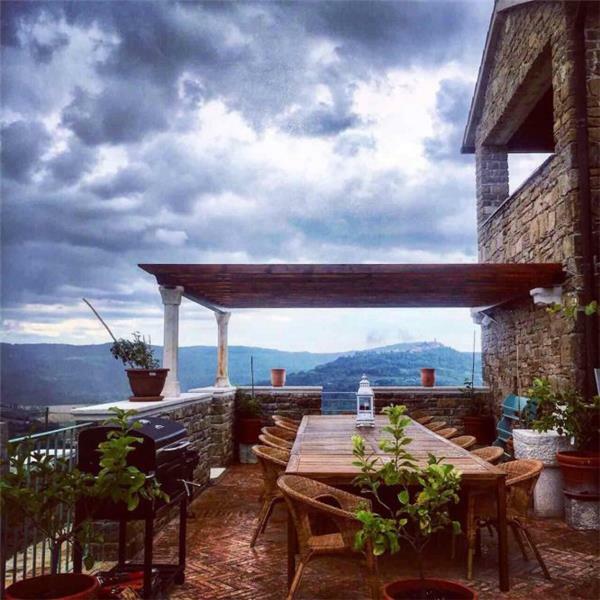 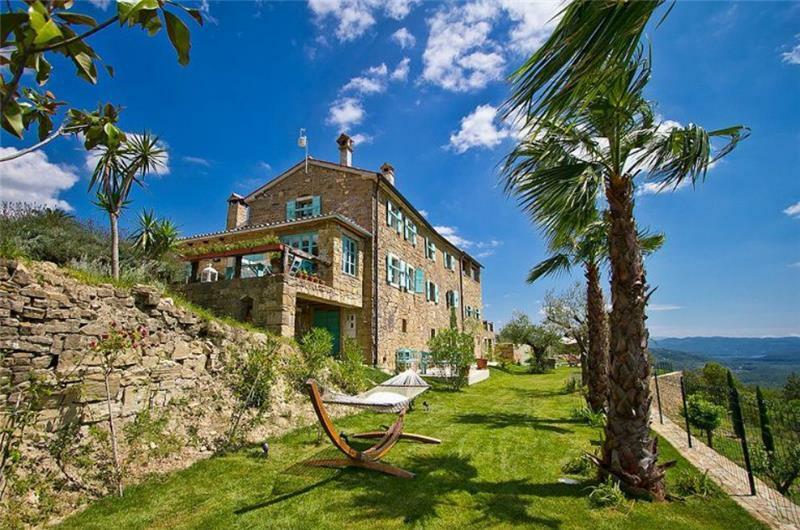 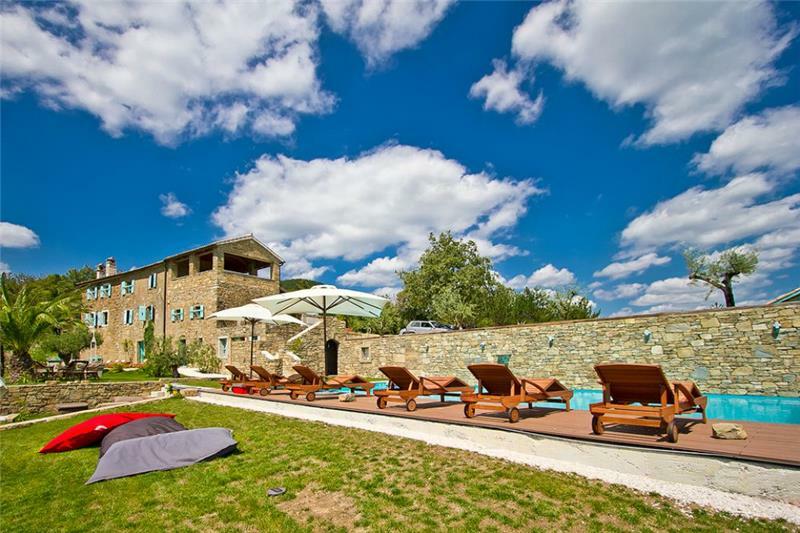 Located in the heart of Istria’s wine and truffle region and offering magnificent far reaching views of the surrounding area including the hill top town of Motovun and the nearby village of Livade. 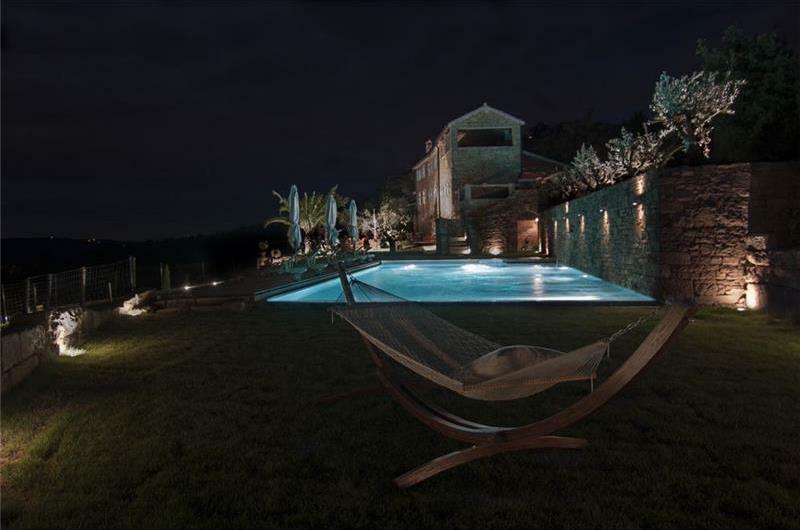 This magnificent 6-bedroom villa estate, decorated with a mix of antique and modern furniture, also possesses a large 100 m2 pool as well as a spa centre experience and offers guests a great holiday spot from which to explore northern Istria. 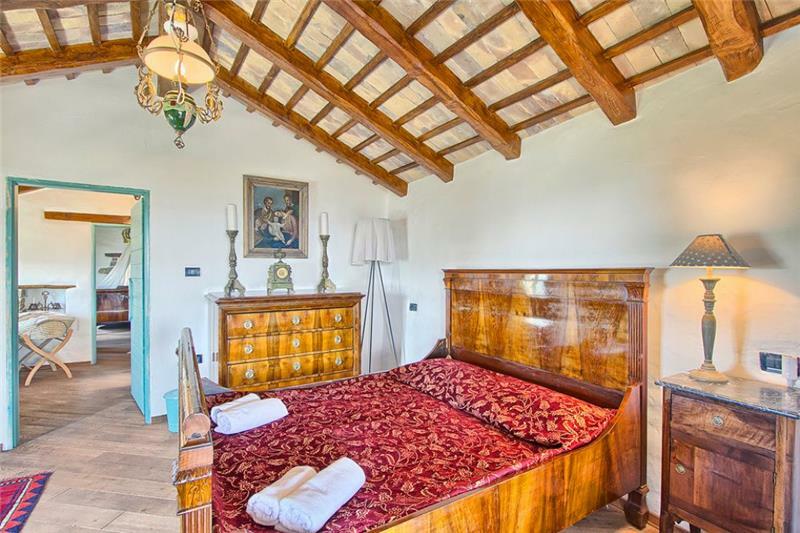 Accessed via 2 sets of stairs which run down either side of the villa from the parking area to the garden level, there are 2x twin bedrooms (nos 1 & 2) each with an en-suite shower room and their own separate entrance from the garden. The 2 bedrooms are not connected internally to the rest of the villa. 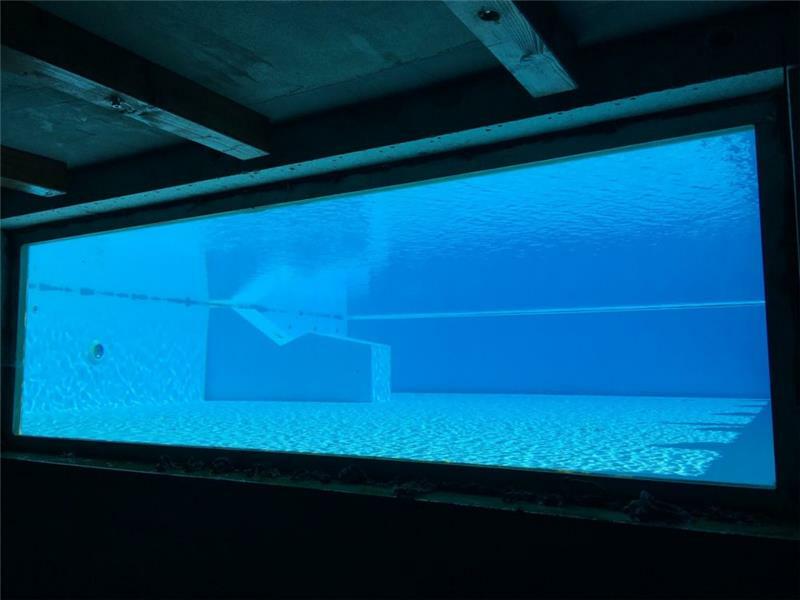 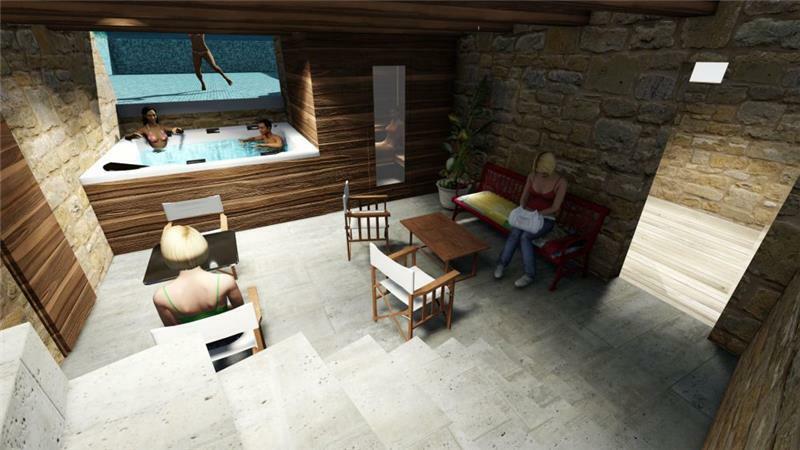 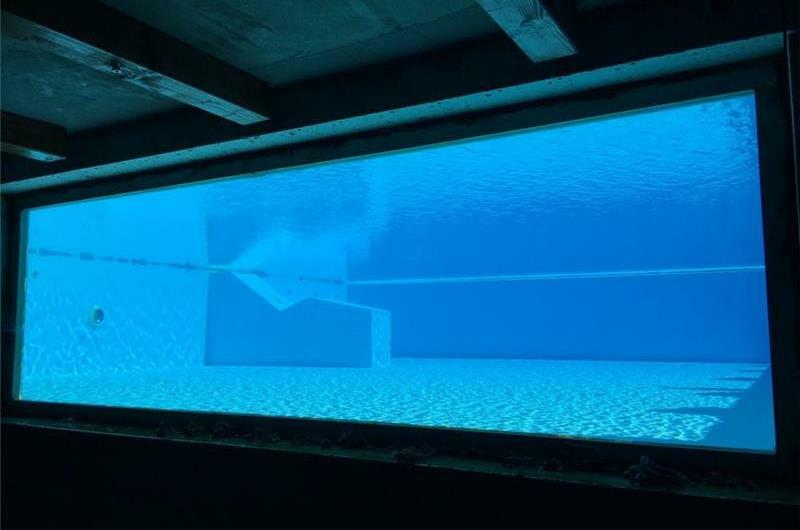 There is also a wellness and spa centre featuring a sauna, jacuzzi, lounge area, bathroom, home cinema system and bar. There are two bedrooms on the first floor and each has their own entrance from the parking area and are not connected internally to the main house. 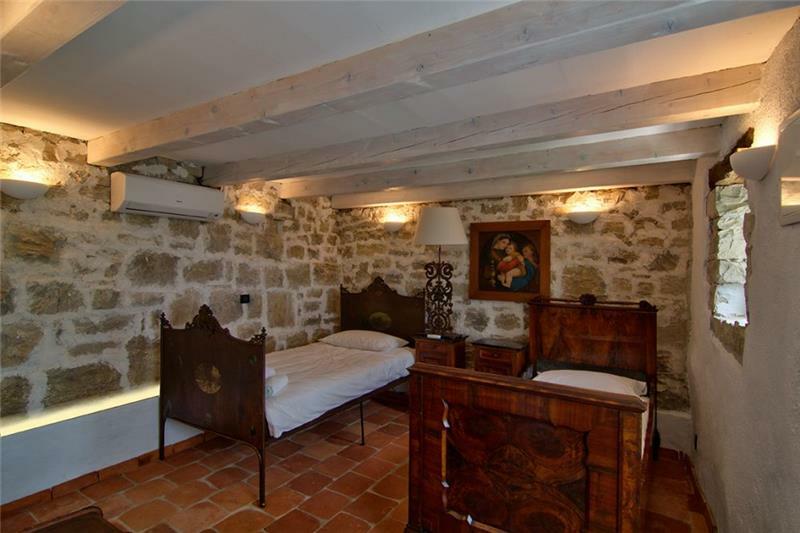 Bedroom (3) is a double bedroom suite with en-suite shower room. Bedroom (4) is a twin bedroom with en-suite shower room. 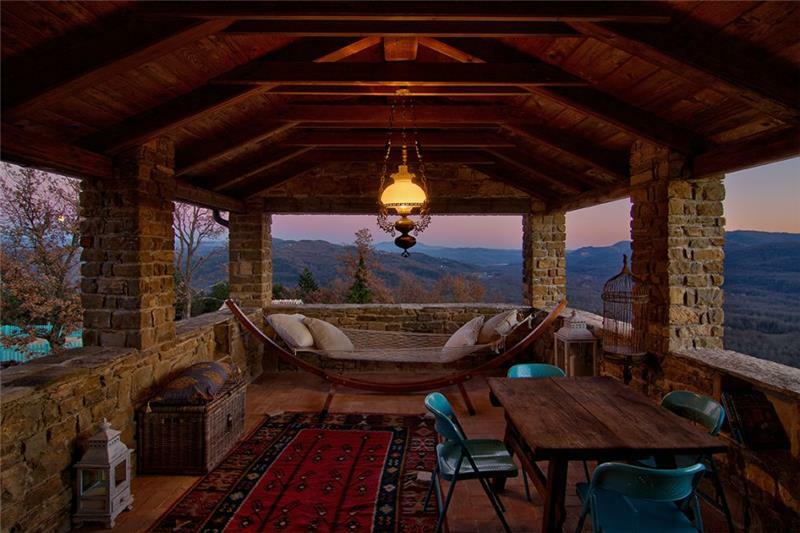 On either side of the first floor there is a covered terrace. 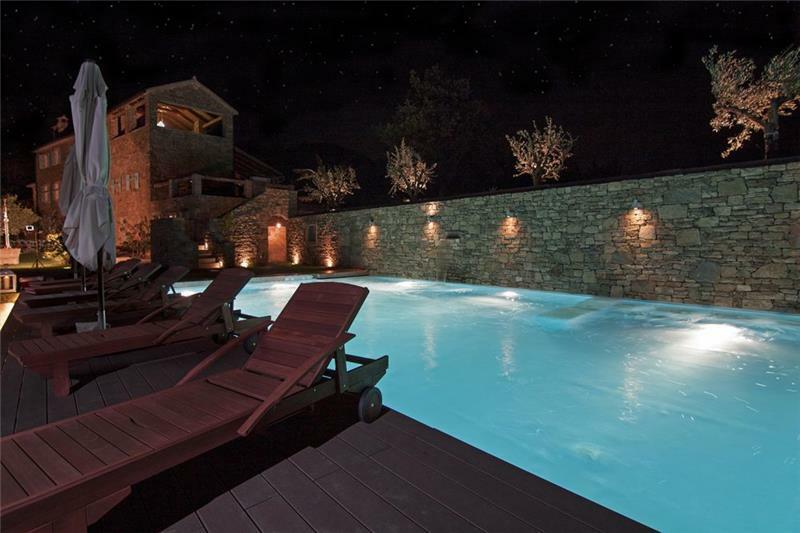 One terrace overlooks the pool and features an outdoor dining area with BBQ. 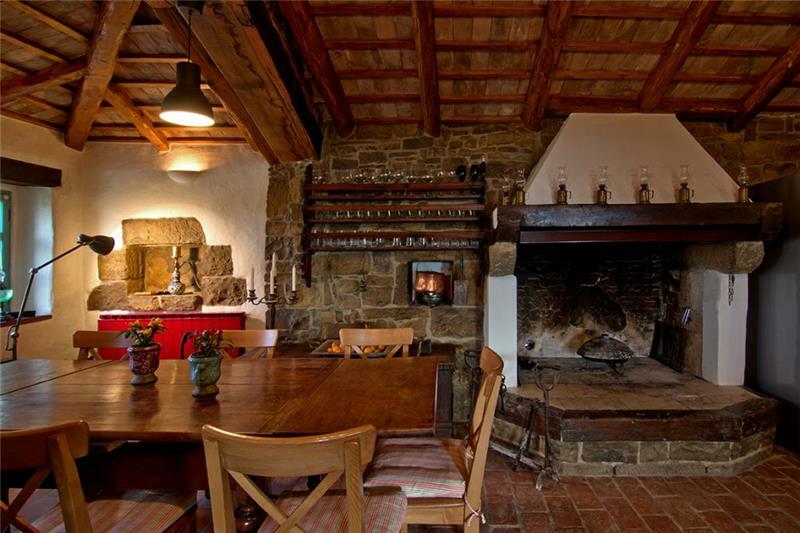 The terrace at the opposite end of the house features a table and chairs and is where the entrance to the main part of the villa is located. 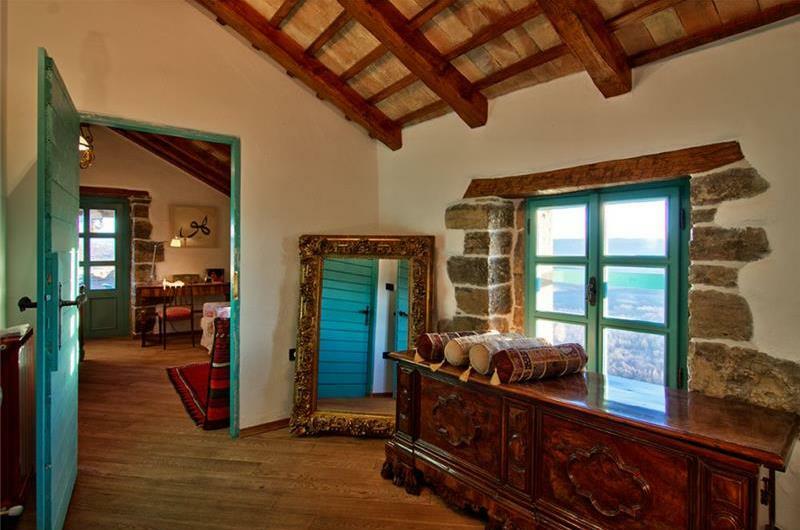 Guests enter the house from this terrace into a hallway which leads to 2 rooms. 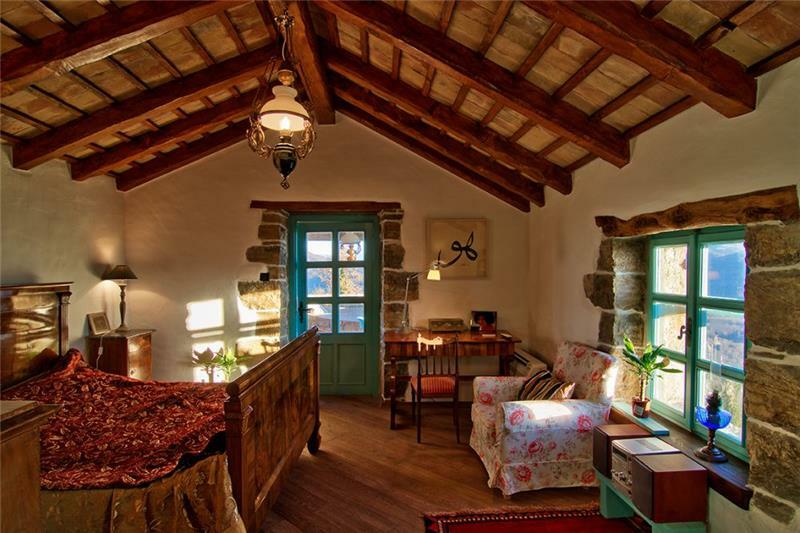 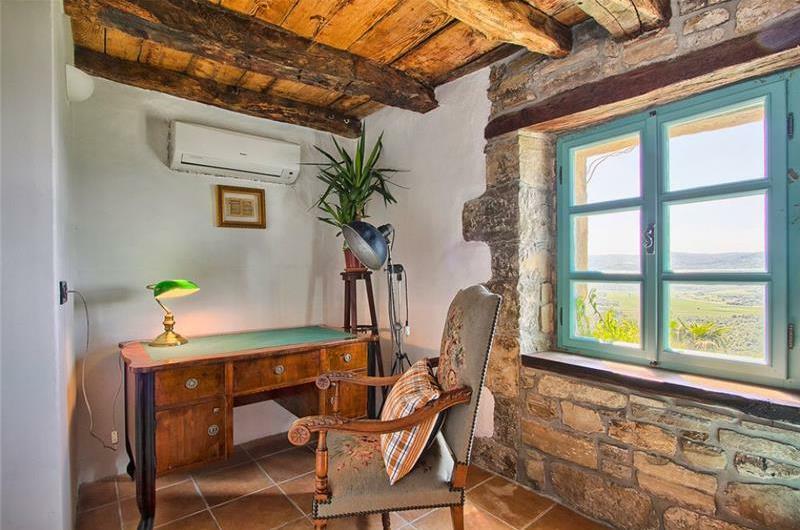 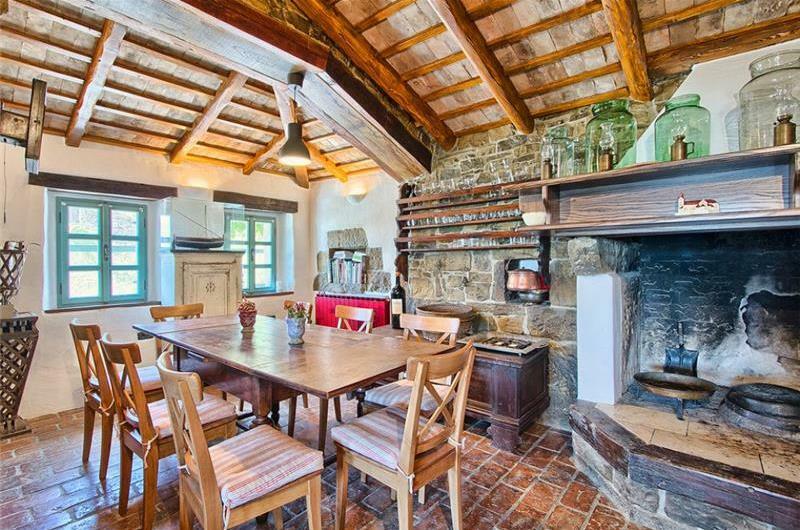 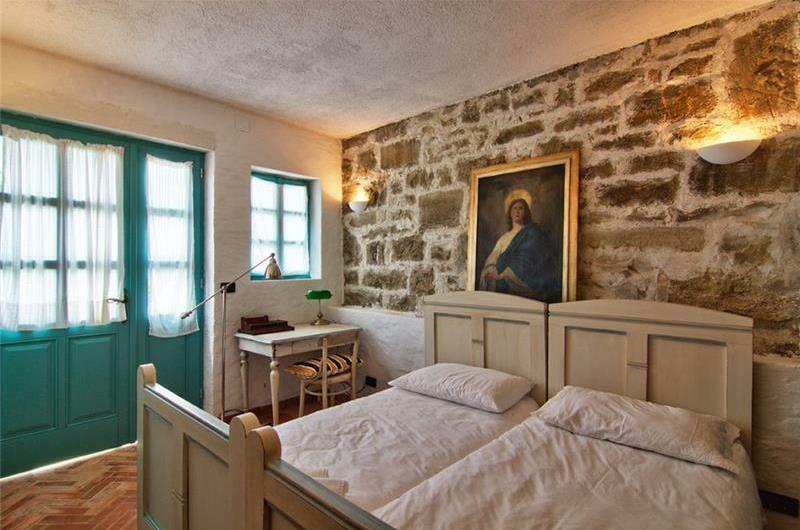 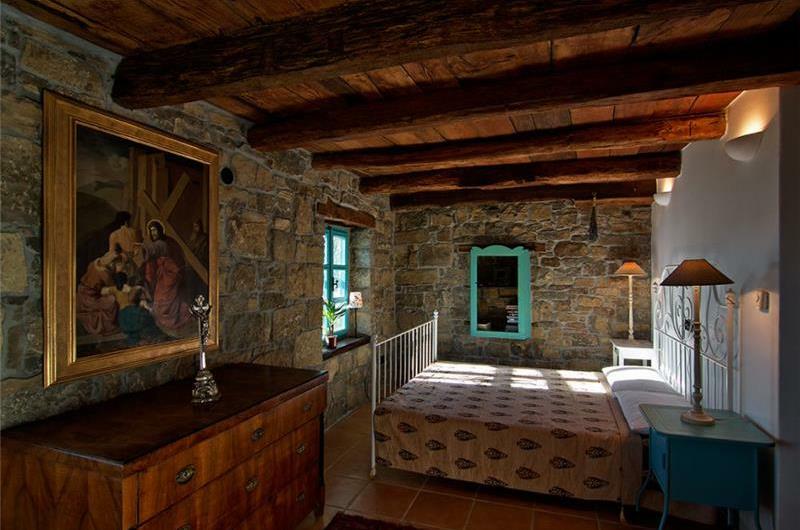 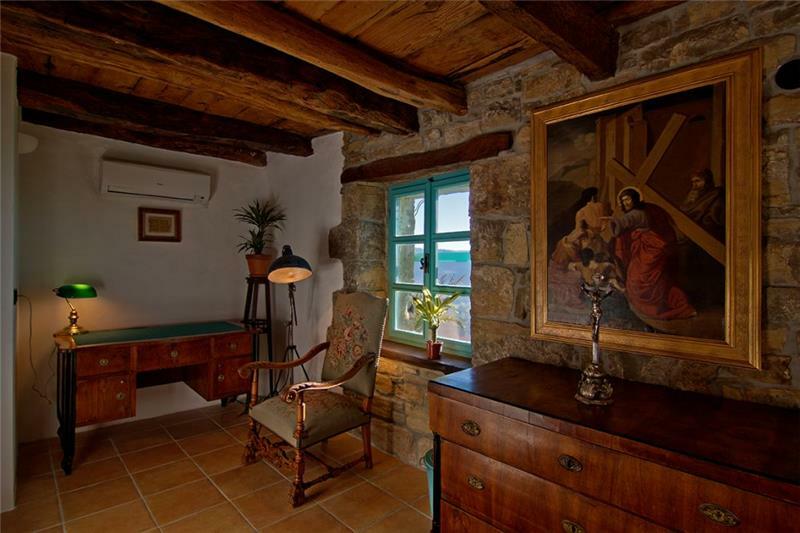 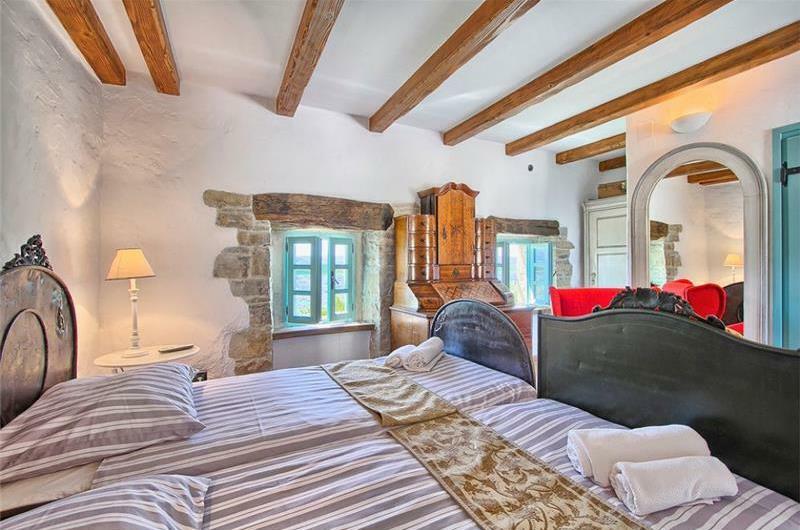 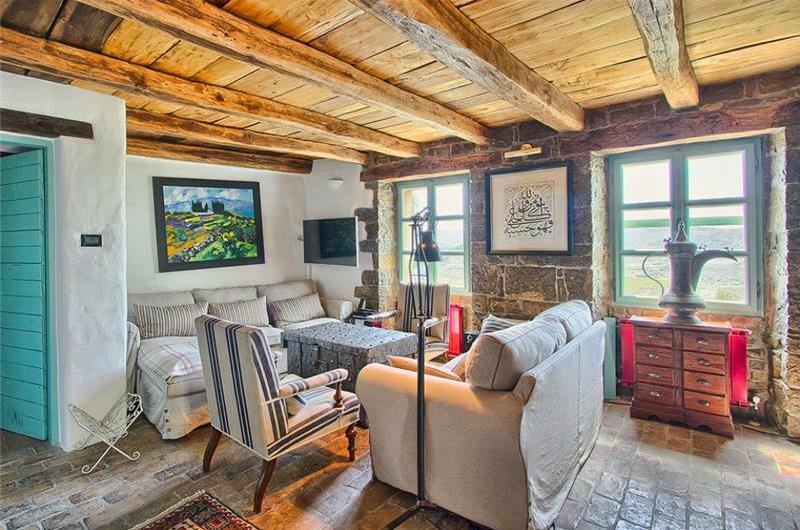 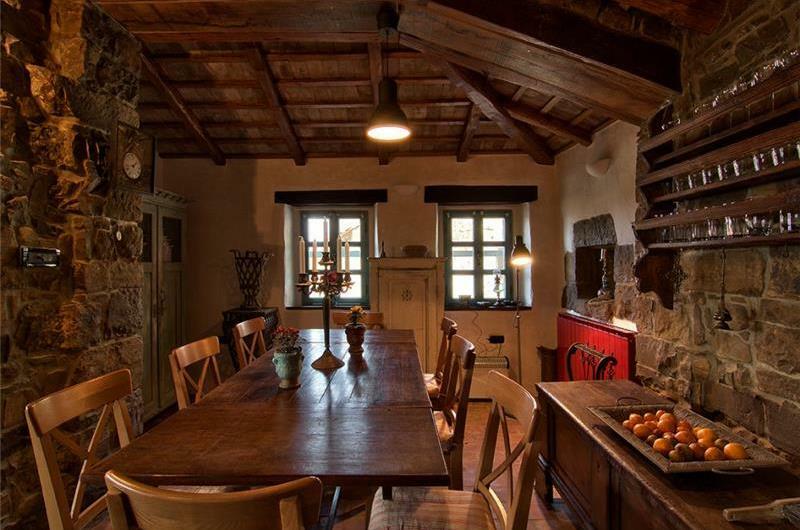 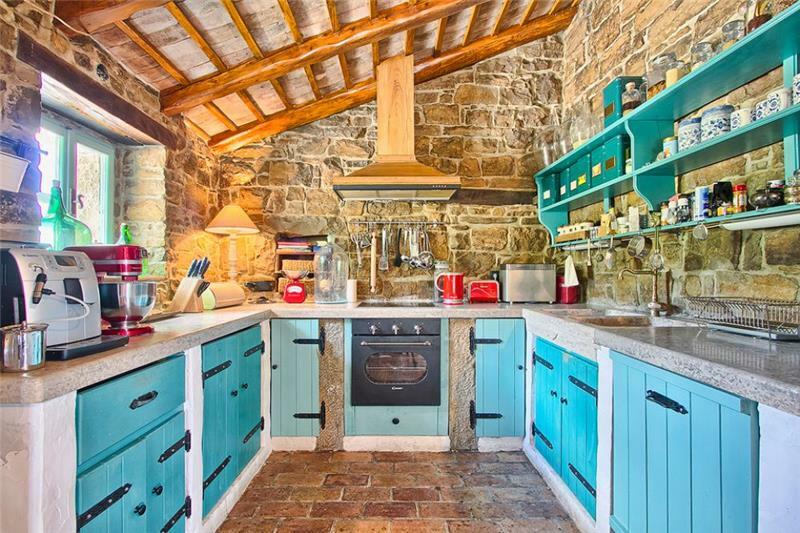 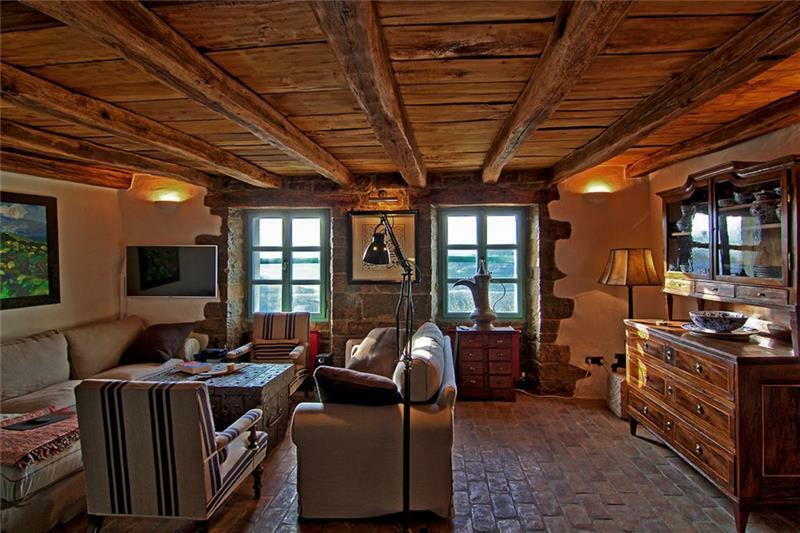 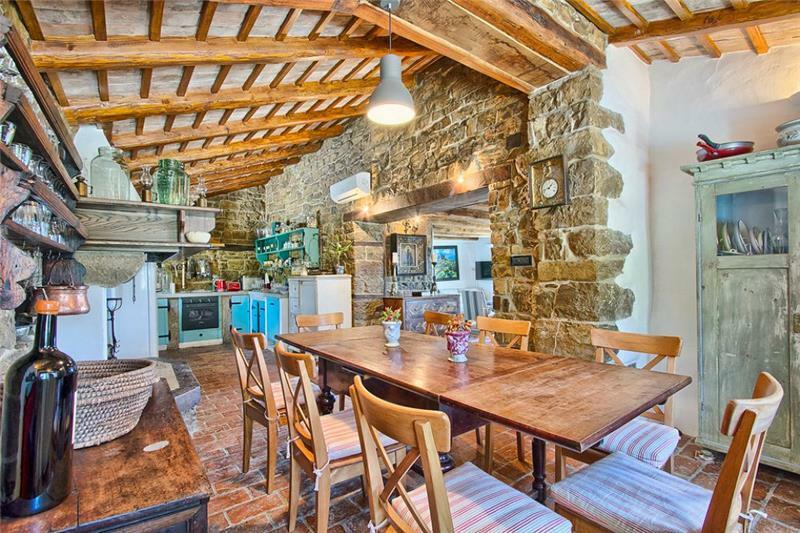 The first room is the lounge/tv room which adjoins a country kitchen with dining table and Istrian fireplace. 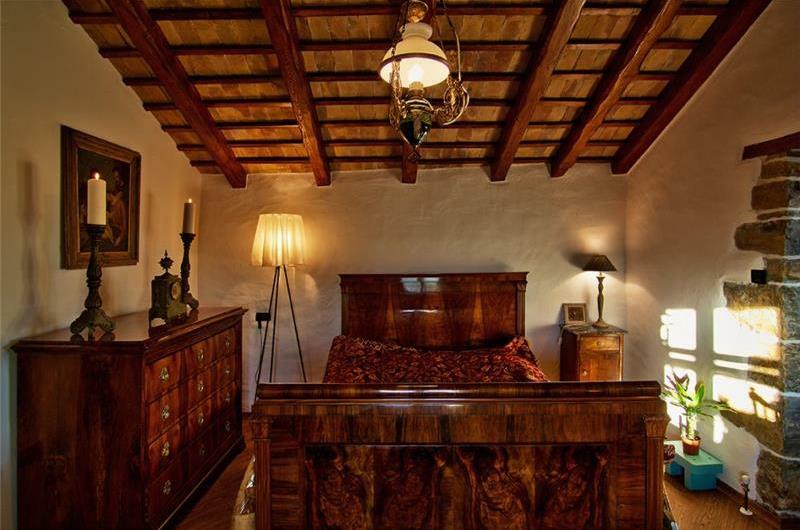 A door from the first-floor lounge opens onto a staircase which leads guests directly into the master bedroom (No.5) on the mezzanine floor. Another door from this bedroom opens onto a hallway from where guests can access a further double bedroom (No.6), a separate family bathroom and a door leading out to the top floor loggia with hammock, table and chairs and cushioned seating. Car hire is recommended. 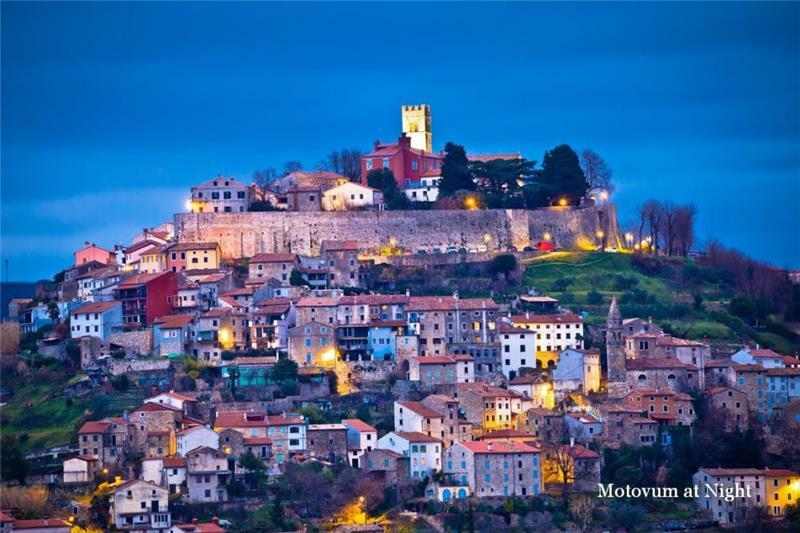 Nearby Livade is a small village with a couple of village shops, while nearby Motovun has a wider range to choose from. 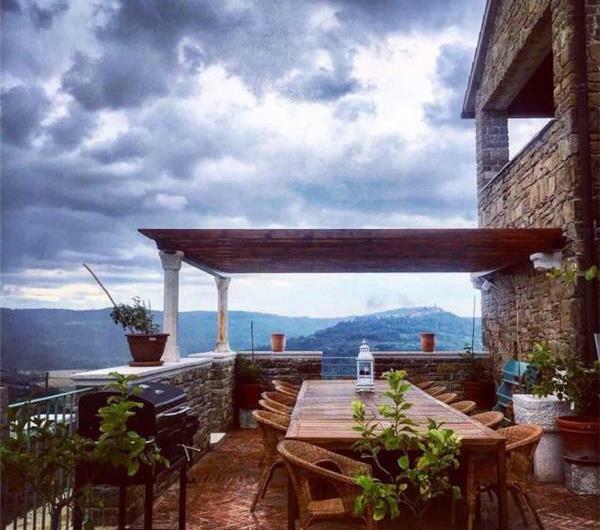 The Michelin guide-rated restaurant, Zigante, lies within a 25-minute walk from the property and is highly recommended for an evening meal. The captivating medieval hilltop towns Istria is known for are well worth visiting to explore their fortified walls and vibrant village centres. 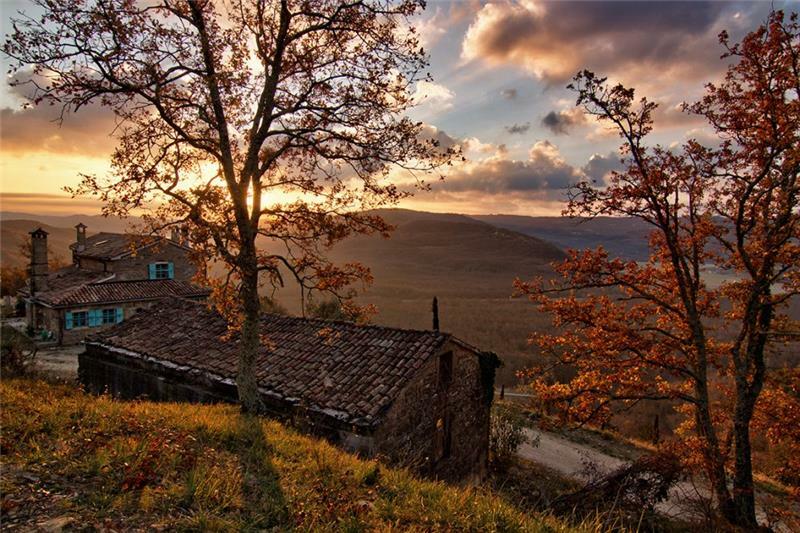 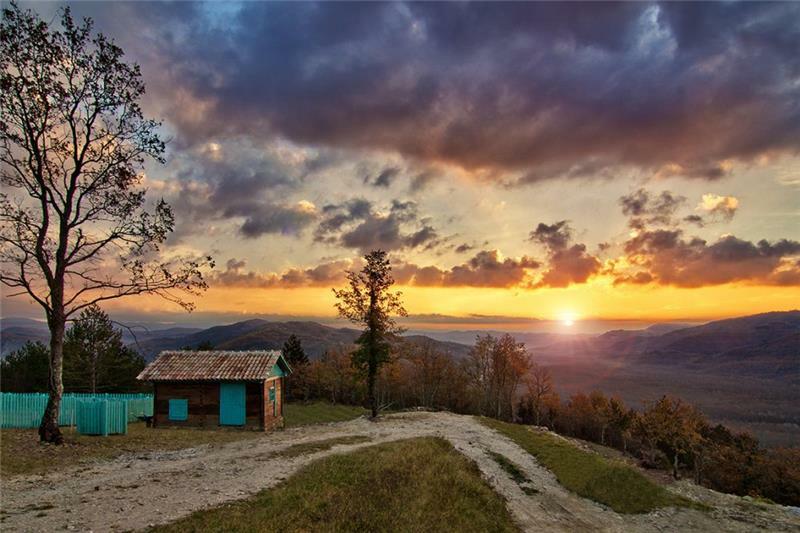 For more inspiration for your Istria holiday read our magazine. 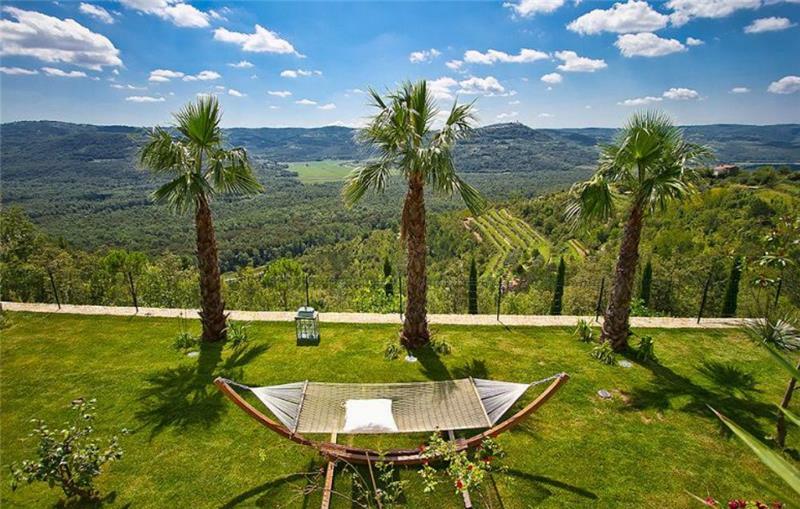 Nearest airportPula Airport. 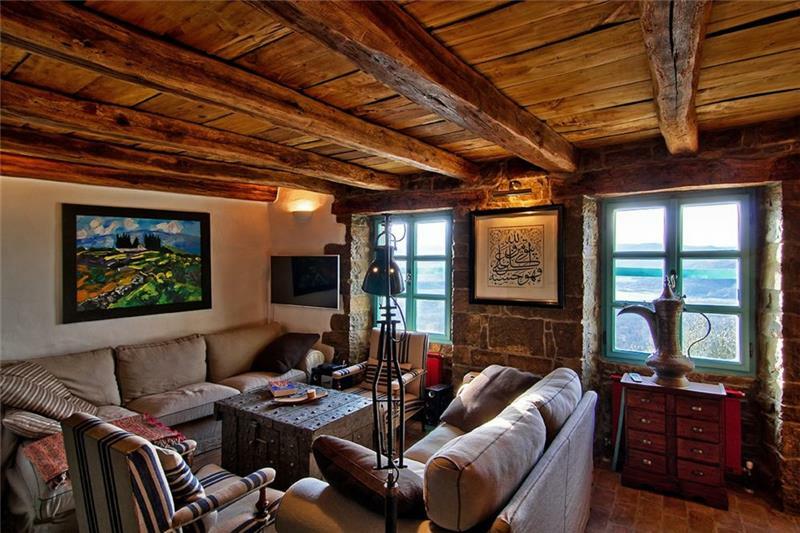 Zagreb, Rijeka, Trieste and Ljubljana are other possibilities. 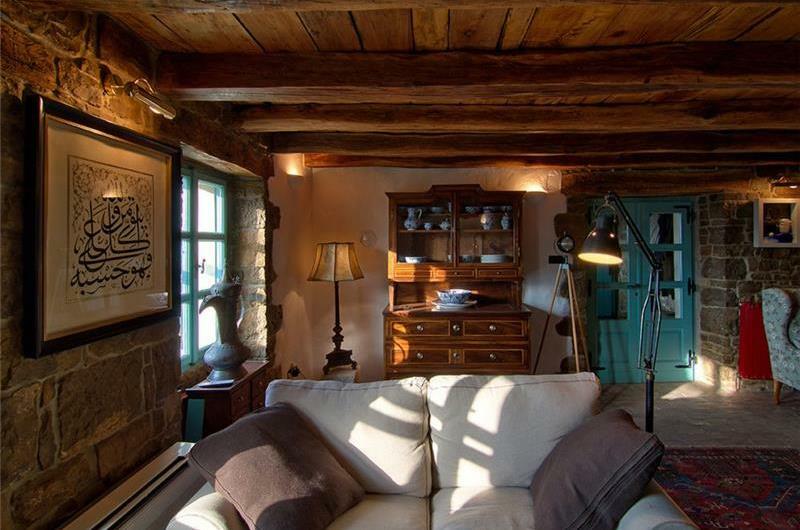 14 Sept. - 21 Dec.
21 Dec. - 02 Jan.